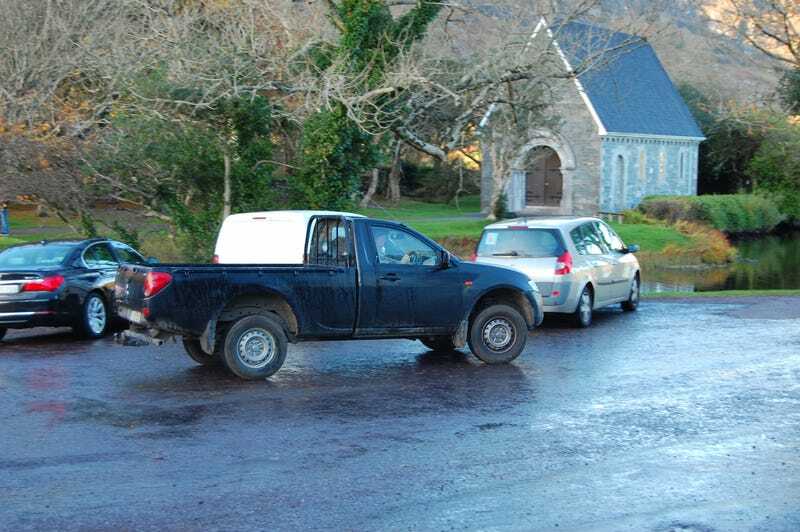 Mitsubishi L200 pickup with the two seater cab. Don’t think I’ve ever seen one before. The L200 is a slow seller and normally has the four seat cab (as does just about every other pickup that I see).